Hello, I thought tonight I would write something different. Perhaps a bit more provocative. I was looking at eBay over the weekend, at Flight covers. Just browsing away and found a few I thought would be nice in my collection. The seller in the UK was charging £7 postage and writing that any order had to be mailed Registered mail as that was Paypal policy. Now earlier that day I bought a flight cover from another dealer in the UK and postage was £1.90. Seems reasonable as I know that is the postage, or close to. So it got me thinking and I checked Paypal policy. There is no policy that says the seller MUST send Registered Mail. There is advisory that for loss protection etc it is recommended. Bit of a difference. I am sure the seller would send by Registered mail but for a cheap item, say under £10 why would I, or anyone for that matter, pay nearly double for the item. And, if it was just one or a few stamps that would really be over the top in my view. What do my readers think? I look forward to hearing from you. Perhaps think about this in the context of fraud, which I seem to be hearing so much about these days. Buyers claiming to have not received their purchase and then the seller losing as Paypal it would appear protects the buyer with a refund at the cost of the seller, even if the seller can produced proof of sending. Of course if you deal with me through my Bidstart Store you will be happy with postage cost I think, and and I won't be spinning you an exaggeration. www.cddstamps.com and at http://cddstamps.com/bidstart-sales/ to fill a gap or two in your collection at a very reasonable price. 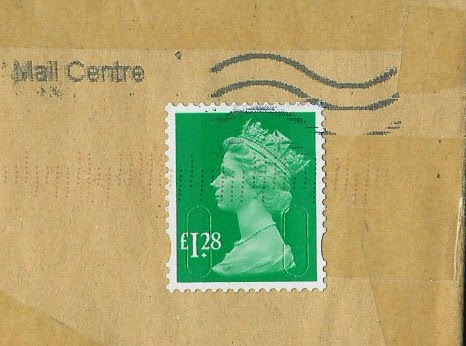 PS above is from a letter recently received from a UK stamp dealer for a small purchase of 20 stamps. PayPal/eBay WILL refund if you can't prove DELIVERY (although the T&C vary between countries - Italy seems to have a rule of its own!). So to avoid charge-backs from people who claim not to have received the goods, or in genuine cases of postal loss, sellers must have trackable proof of receipt. Of course proper dealers carry their own insurance and don't need to use trackable service in all cases. What the sellers probably don't realise is that Royal Mail only refund the sellers cost, not the eBay sales price. Thus if you sell a scarce item found in kiloware for £100, you are likely to get only the postage refunded.